Is there anything that hasn’t been said about culture at Google? 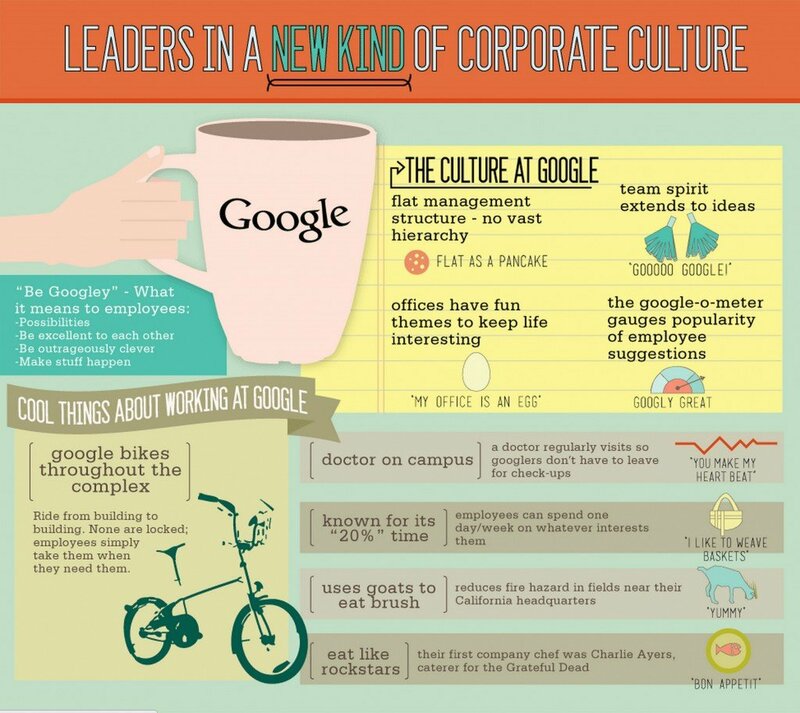 Next to Zappos, Google is likely the top cited example of corporate culture. The 25 free restaurants, free cars, wired workstations, laundry services, on-site gyms. Shannon Deegan, VP of HR said in a presentation to his peers recently “This is not really the Google culture. This is the cost of doing business in our market.” And, these perks are a visible expression of the true secret behind Google’s strong organizational culture, which is at it’s essence, quite simple. Corporate culture at Google is grounded in the Founder’s philosophy, the famous 10 tenets. Google is still ruled by its founders, which means the culture is in their direct control (many companies operate with a legacy culture set in motion by founders 100 years ago, yet everything has changed. Fundamental transformation in this case is very, very hard). What IS the one fundamental principle at the heart and soul of Google’s culture – the quality that puts Google (and Facebook, Amazon, as well as other great companies born from the digital era) at the top of the corporate culture food chain? Google’s founders understood this: Their business is premised on the fact that “if we trust the people (who search the internet), they will lead us to the relevant stuff.” Google provides the infrastructure for building Trust capital in an increasing era of “culture of choice.” Google’s mission is to “organize the world’s information and make it universally accessible and useful.” The founders believe this to their core, and are not a conventional company. They are not a slave to Wall Street for a reason – it allows them to build a corporate culture that will deliver on this mission, and that is principally organized to drive innovation. Nooglers (new to Google) are given lots of on-boarding support. They are taught early on: o It’s fun to work here – have fun. o Think big and take risks. o If it’s broken, fix it or find someone who can. o Invent solutions not yet thought possible. How far Google will go to put its money where its mouth is? These examples don’t fit the style of every company – but hopefully they inspire you to create your own habits and management practices that foster a sense of trust in your employees. And that is what corporate culture is all about: Build trust by walking your talk. Hungry for a profitable culture like Google’s?